When we say raw, we mean raw! Our honey is untreated, unheated and unpasteurized. Buckwheat honey has a naturally dark color and a very strong taste that closely resembles molasses, and many consider buckwheat honey benefits to outmatch those of any other variety. We especially love our buckwheat honey in oatmeal or candied sweet potatoes, and home brewers will love buckwheat honey to flavor their beer! 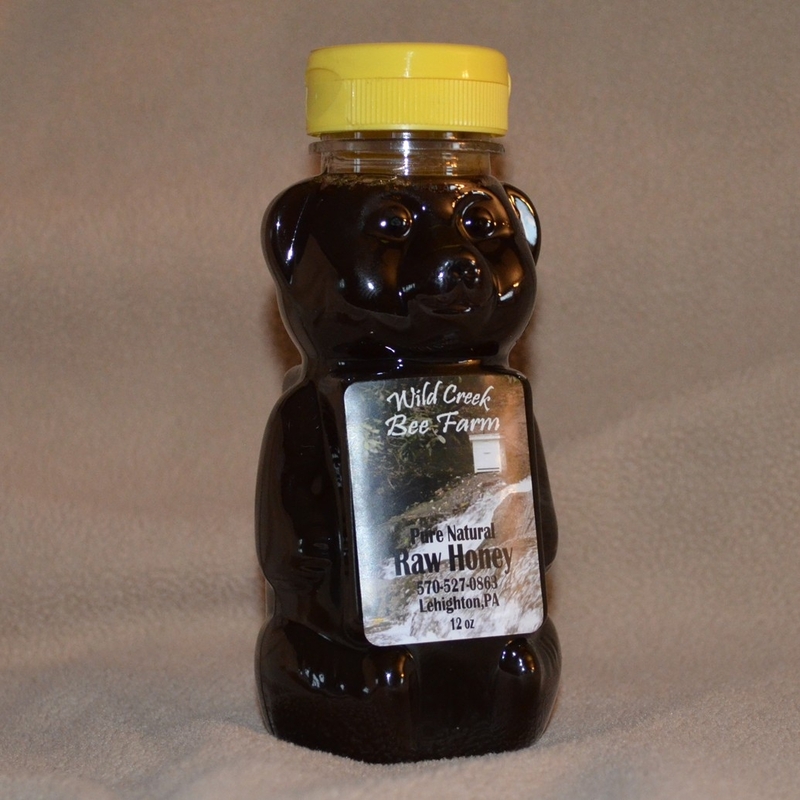 At Wild Creek Bee Farm, we responsibly produce pure buckwheat honey in addition to many other delicious varieties. When you shop with us, not only will you be supporting a small American business, but you will also be able to take advantage of all of the health benefits of local raw honey. Buckwheat honey, like other dark honey types, is very high in minerals. We only have a limited supply of our buckwheat raw honey, so make sure you order your honey bear while it still lasts!